Most people try to avoid getting older, they don’t want to have to tell people that they are turning 50 because they are embarrassed. The fact of the matter is that everyone gets old eventually and we should appreciate the life that we have. One of the big birthdays that a lot of people celebrate is their 50th birthday. Some people have big parties while others go out for dinner with their family. This is a birthday that you should celebrate and if you are feeling nervous about turning this age then you should keep reading this article. Here, we are going to give you 8 reasons why you should make sure that you celebrate your 50th birthday! Our first reason to celebrate your 50th birthday is that you have come a long way and you probably have a family that loves you. It is likely that your family will want to celebrate with you and so you should give in and let them spoil you for the day. Turning 50 is a great time to reflect on everything that you have. If you have a loving family then you can take some time to appreciate them and if you don’t, you can spend some time thinking about the people that you have lost. Your family will want to make a big deal of your 50th so let them and you will be happy when they are happy. Turning 50 might not sound like much of an achievement at first but you should think just about how long you have managed to survive. The world is a scary place and you never know where you are going to be in the next 5 years. Some people make it way past 50 while others don’t even make it there. You should be celebrating the fact that you have managed to live a good life right up until this point. There are many illnesses, accidents and disasters that can stand in your way of getting to this age, but you have managed to get there in the end! You are now around halfway there, and you should be thinking about what you are going to get up to for the next part of your life. Everyone loves a good party and for your 50th, you can have the biggest party of them all. Think about organising a big event that brings all of your family and friends together to celebrate your life so far. The party could be a themed partyor simply just a night of drinks and food. Why not turn your 50th birthday into something fun? You don’t have to be boring and sit about chatting to older relatives. You could have a bouncy castle, a photo booth or some games. This party is entirely up to you and you will love planning it. Some people work for as long as possible, while others dream of the moment where they can sit back and relax in retirement. This is one of the reasons why you should celebrate being 50. Although you are not quite old enough to retire at this age, you are getting closer each year and you are likely to be in your last 10 years or so of your working life. Think about your retirement, when you are going to take it and consider if you have saved enough money to retire in the next 10 years. Retirement is a great part of your life and you will love being closer to it as times goes on. Your birthday is not about getting gifts but when you turn 50, you are likely to get some good ones. You might find that your partner surprises you with a great gift or takes you abroad. On top of this, your kids might save up to get you something great or even make you something special. The internet is full of 50th birthday gifts and sites like Edora offer everything from trinkets to jewellery. 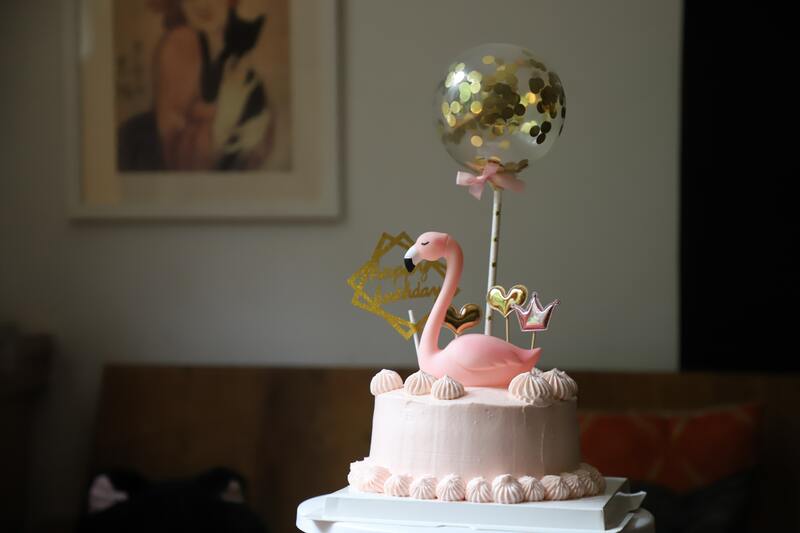 If you know that people are going to be buying you gifts, you could do a search for yourself and give some suggestions of things that you would like from the site’s 50thbirthday gifts for her category: https://www.edora.co.uk/occasion/50th-birthday-gifts-for-her/. This way, you know how much people are spending and you can ensure that they don’t go overboard. Of course, you can go on holiday whenever you want but wouldn’t it be great to have an excuse? Many people set off on trips for their 50th birthday and spend the big day sitting by the pool. Choose somewhere that you’ve always wanted to go and convince your partner to come with you. If you don’t have a partner, you could take a friend or use this as an opportunity to spend some time alone. You might find that a break away from your day-to-day couldrefresh your mindand you could go into the next part of your life feeling hopeful. Make sure to choose somewhere special and save up if you want to have the holiday of a lifetime. You can find some 50thbirthday holiday ideas here: https://www.101holidays.co.uk/50th-birthday-holiday-ideas/. If you love being surprised by your loved ones, then you will love celebrating your 50th birthday. Ask them to plan a surprise for you, such as a party or even just something to do for the day. You might find that they take this upon them themselves, but it doesn’t hurt to check. Then, all you need to do is sit back and relax on your birthday and see what sorts of surprises are lined up for your big day. Our final reason why you should celebrate your 50th birthday is the fact that you deserve it. Life is full of struggles and if you have made it to 50 then you have probably already achieved quite a lot. It is likely that by this age, you will have already had a family, a house and probably a reasonable job. However, life is not just about all of these things so regardless of what you have managed to achieve by this age, you still deserve to celebrate your birthday. Although it is just a day on which you were born, you can still make the most of it and have everyone think about you for just one day. Don’t let the fear of the spotlight cloud your judgement on planning something. You deserve this, and you should celebrate your birthday. It is important that you celebrate your 50th birthday in whatever way suits you best. Don’t host a big party if it is only going to cause you stress. Think carefully about what you would like to do and just go for it! You will love having your family and friends around you when it comes to the big day and they will love being able to appreciate all that you have done for them. Think carefully about suggesting some presents that you would like if you don’t want people to waste money on things that you don’t want. Celebrate your 50th and you will have a great day!